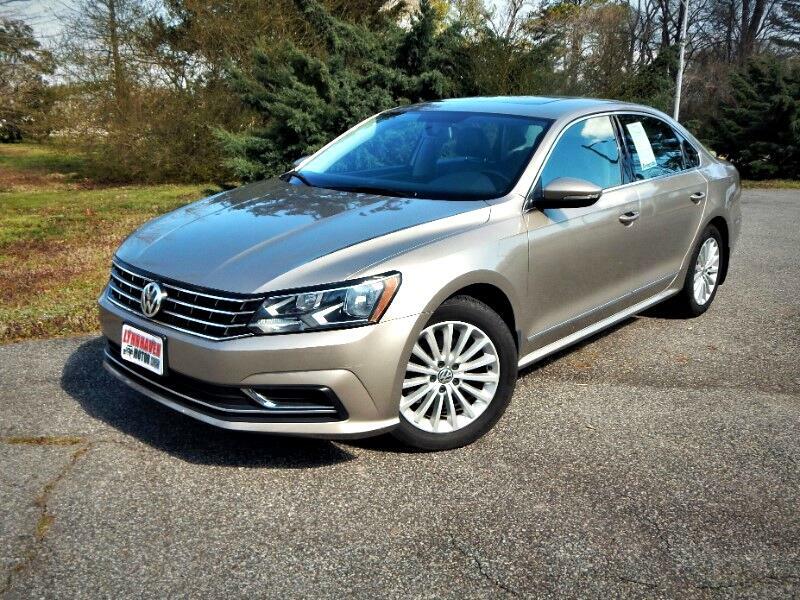 Like New, One Owner, 2016 Volkswagen Passat SE, POWER SUNROOF, LEATHER INTERIOR, REAR VIEW CAMERA, Only 23k Miles, CARFAX/AUTOCHECK and STATE CERTIFIED with BUYBACK GUARANTEE, Automatic, Loaded w/Power Options, STEERING AUDIO CONTROL, MP3 SATELLITE RADIO COMPATIBLE, Alloy Wheels, STILL UNDER FULLY TRANSFERABLE FACTORY WARRANTY...Reviewers agreed that the Passat has a smooth ride that makes it very comfortable on the highway. They added that the Passat offers responsive steering, strong brakes and limited body roll during cornering. They continue by saying it has a handsome, well-constructed interior, and critics said the front and rear seats are as spacious as anything this class has to offer. The Passat’s 15.9-cubic-foot trunk is also larger than many trunks in the class. Standard features in the Passat include dual-zone automatic climate control, an eight-speaker stereo and Bluetooth. Available features, which our feature vehicle herein has, include leather upholstery, satellite radio and a Fender premium audio system with a subwoofer and iPod integration. This is a fine automobile to own at this price range. As with any other of our vehicles, you may have this one pre-inspected by your trusted mechanic prior to purchase. We strive to only keep high quality vehicles with low mileage offered at the most competitive price. We are a family run independent Dealership with over 30 years of experience serving families, and our low overhead translates to lower prices for our customers. Each of our pre-owned certified vehicles goes through a 108 point check and Virginia residents receive a brand new State Inspection. Visit us online at www.lynnhavenmotors.com to see more pictures of this vehicle, or call us at 757-425-9300 today to schedule your test drive.